There is a saying that goes – “Runners don’t get rained out, they get rained on.” Co-founder of Nike, Bill Boweran was quoted as saying that there is no such thing as bad weather, just soft people. Both of these quotes, especially the latter one, have inspired us to feature a new collection of running gear from Nike that was designed especially for all you runners who do not fear the elements. 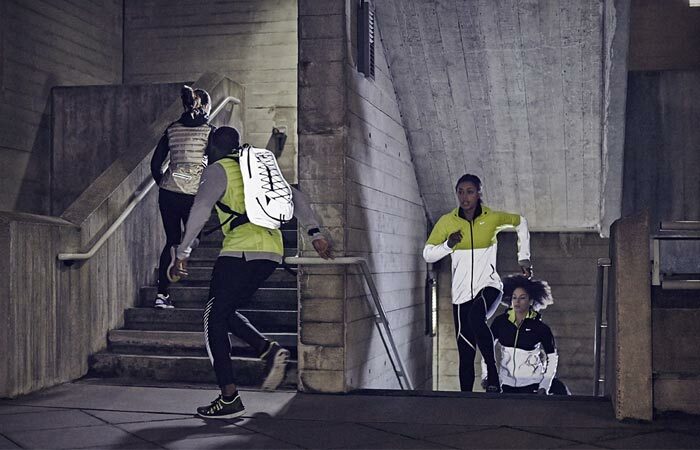 Nike Flash Pack is an all-around, winter-appropriate collection which includes four footwear styles, jackets and tights. 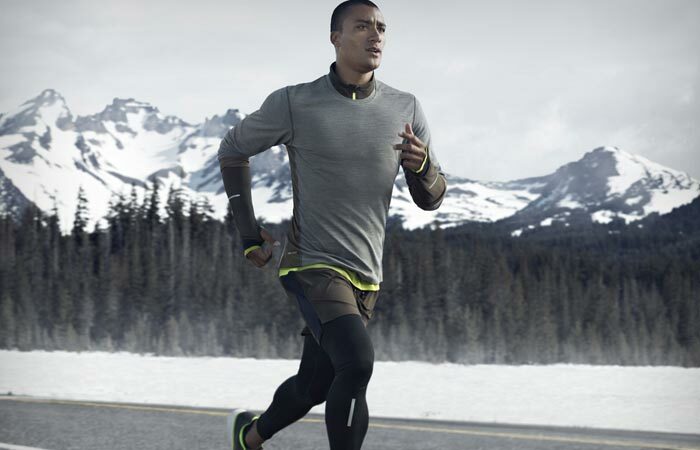 Every part of Nike Flash Pack is very warm, waterproof, insulated and breathable. 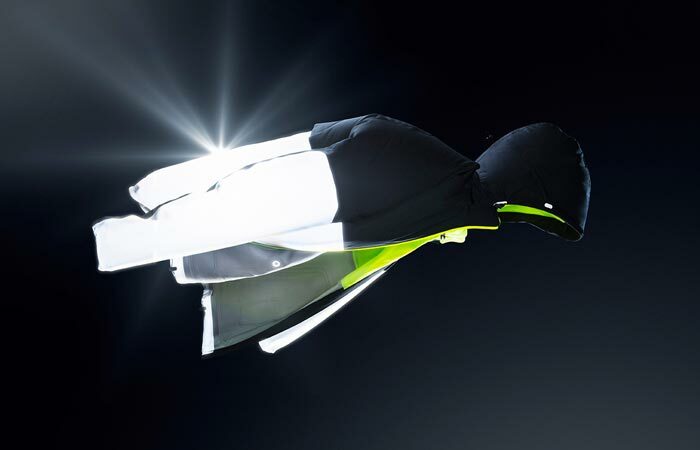 Additionally, for those runners who like running in the dark, the gear has 360-degree-reflective trims and patterns for enhanced visibility. 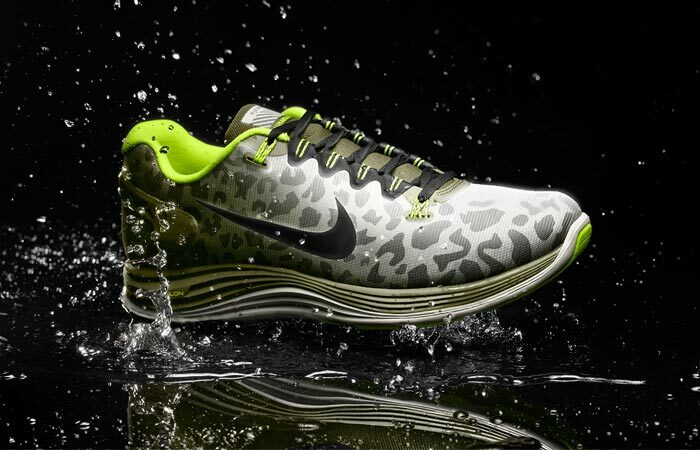 The collection comprises of four running shoe models – Nike Free 5.0., Nike LunarGlide 6, Nike Air Zoom Structure 18 and Nike Air Zoom Pegasus 31. Each of these shoes have uppers made from durable woven mesh or are treated with the DWR (durable water repellent) coating. They will keep your feet dry and warm, as well as improve your visibility in bad light. 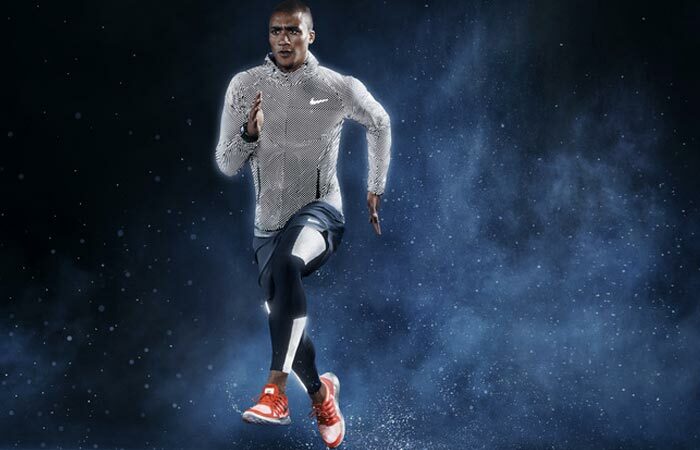 Nike Flash Pack also consists of Nike Shield Flash Max Jacket, Nike Aeroflot Hybrid Jacket, Nike Rain Runner Jacket and Nike Flash Tights. Again, just like the aforementioned shoes, the jackets and tights have a 360-degree-reflectivity, especially the jackets with their checker-dot pattern. The jackets are made from a lightweight water-resistant fabric called Storm-FIT 5 which deters wind and rain. 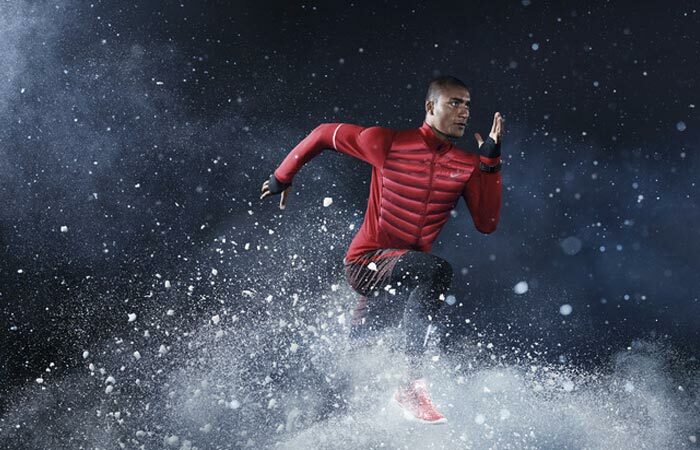 The Aeroflot Hybrid Jacket, for instance, also has laser-cut holes between chambers of body-mapped 800-fill down insulation which provides a lot of warmth without impeding the runner’s mobility. Of course, all jackets come with a hood which provides the best possible coverage.